Collette Miles is a woman of many talents. The blogger and former blogshop model was recently signed to Avenue, works for Abercrombie & Fitch, and somehow manages to sail through being a full-time undergraduate at the same time. I first met with Collette over Skype in March 2012 when I was still in Perth. The animated and carefree interview has been one of my most memorable to date! Needless to say, I was exceptionally excited to meet our wonderwoman in person when I flew up (Up? I think. My geography fails me.) to Singapore this January. 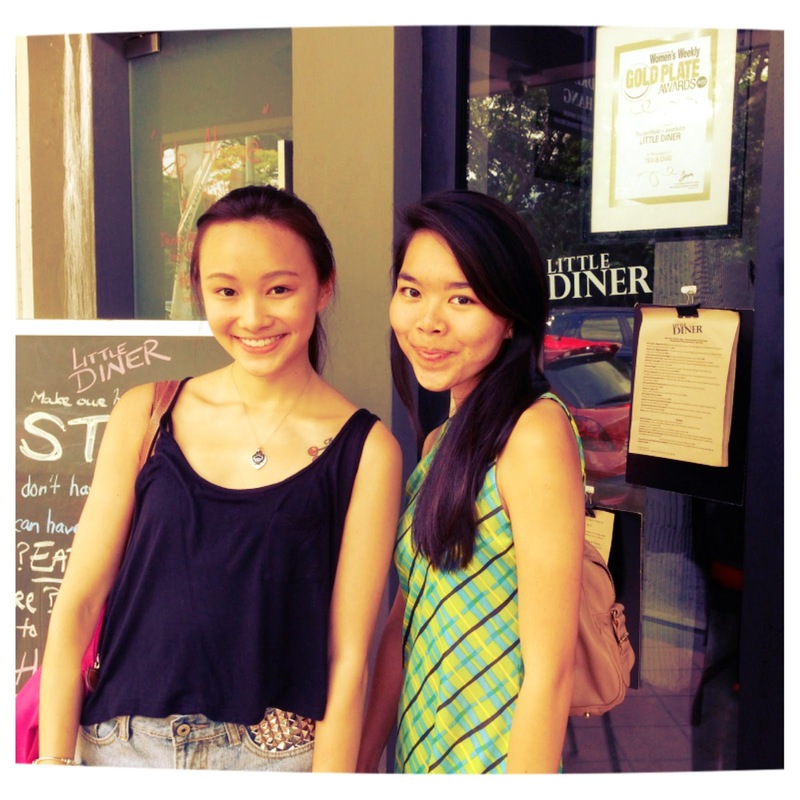 Collette booked us a lovely brunch date at Little Diner in Bukit Timah. What follows is a snippet and pastiche of my interviews with Collette. Crys: Okay, the very beginning! How did you even become a blogger in the first place? Col: I started on a Live Journal platform just like… for fun? During secondary school I was quite bored lah… so I just started a blog… because everyone is using Live Journal at that time… so I thought okay, I just set up and update it? So it’s a space for me to say whatever I want to a certain extent, and post pictures. Crys: And, how did your blog become publicized and commercial as it is now? Crys: Any idea at all where these people came from or who some of them were? Col: I do modeling for some events… and also I joined like The New Paper New Face two years back… It was on the newspaper so [maybe] people started to Google my name or something..
Crys: You must have started modeling really young? When did you start? Crys: How did it all begin? Crys: That’s how you got it in your blood! Crys: How does a typical day for a photo-shoot go like? Crys: But, what do you have to do exactly during the photo-shoots? Crys: Where do you learn to do all these? Where do you learn how to pose, how to make-up, how to feature their clothes properly? Crys: Do people recognize you in public? Crys: Do you feel weird when strangers recognize you in public? Crys: So how would you respond to them? Col: Yah! Because they like, read my blog… Thanks for like, their support. Crys: So, what is your status then? You’re sort of well-known on the internet, people recognize you on the streets… what are you? Col: I have like Dutch, Indian, English, Irish, French blood… and my mom is Peranakan Chinese. Previous Post Behind The Scenes. Next Post Why are some blogshops more successful than others?